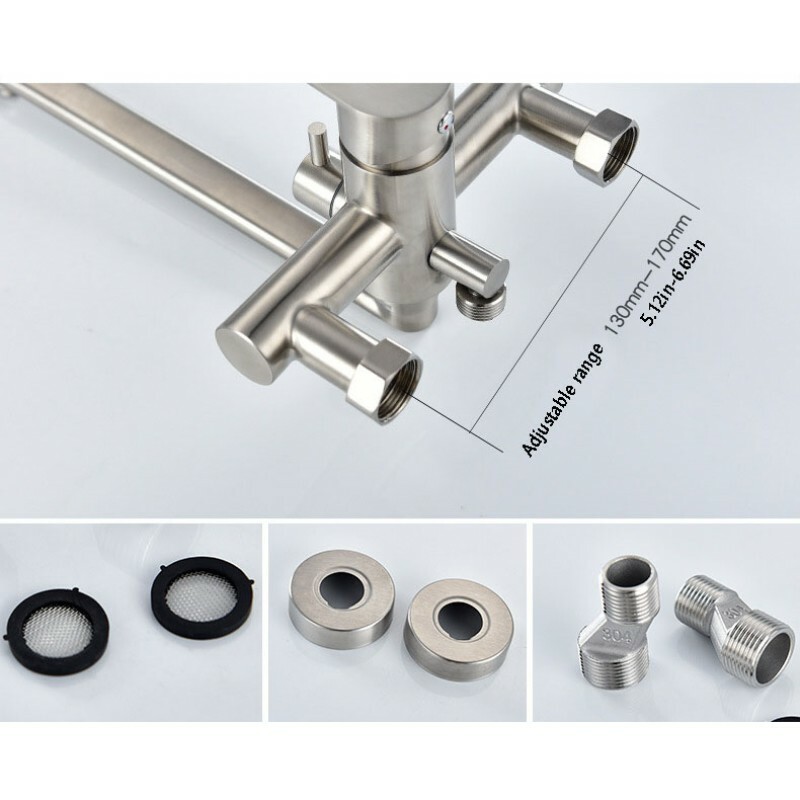 The anodized surface improves corrosion resistance, enhances wear resistance and hardness, protects the metal surface, and has good insulation properties. 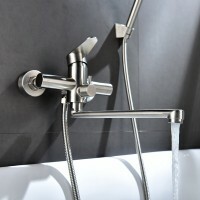 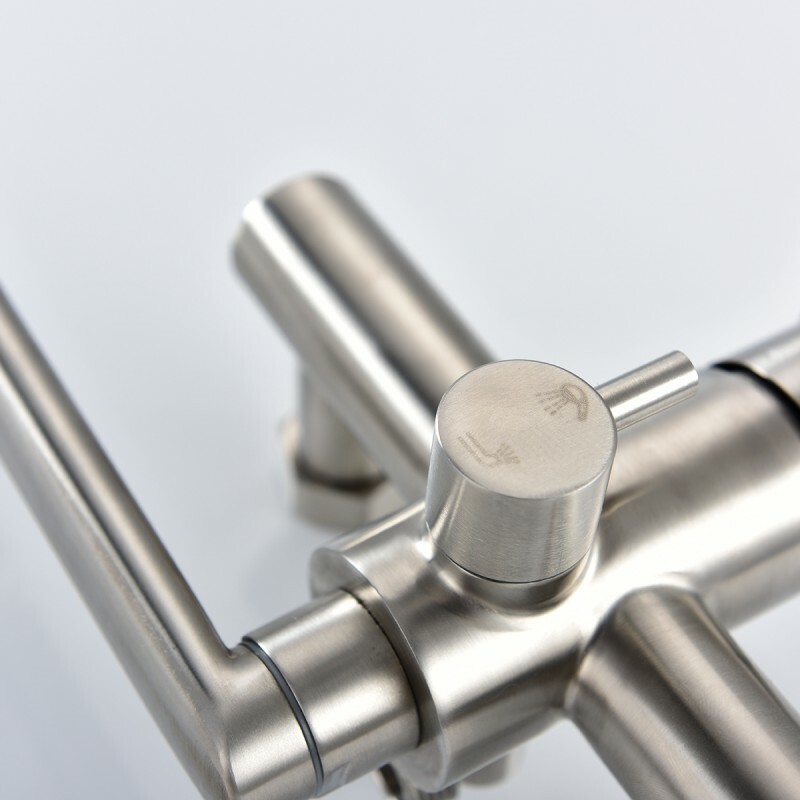 It also makes the faucet look elegant and the bright colors can last for a long time. Type: Floor Standing Tub FaucetMaterial: Solid Brsss;Finish:Oil Rubbed BronzeOverall Height: 118cm(4..
Material: stainless steelProcess：304 stainless steel precision casting processApplicable type: Bathr..
Faucet material: brassProcess: platingApplicable type: bathroom showerTop spray shower: stainless st..
Faucet material: brassProcess: platingColor：ChromeApplicable type: bathroom showerOpening method: Li.. 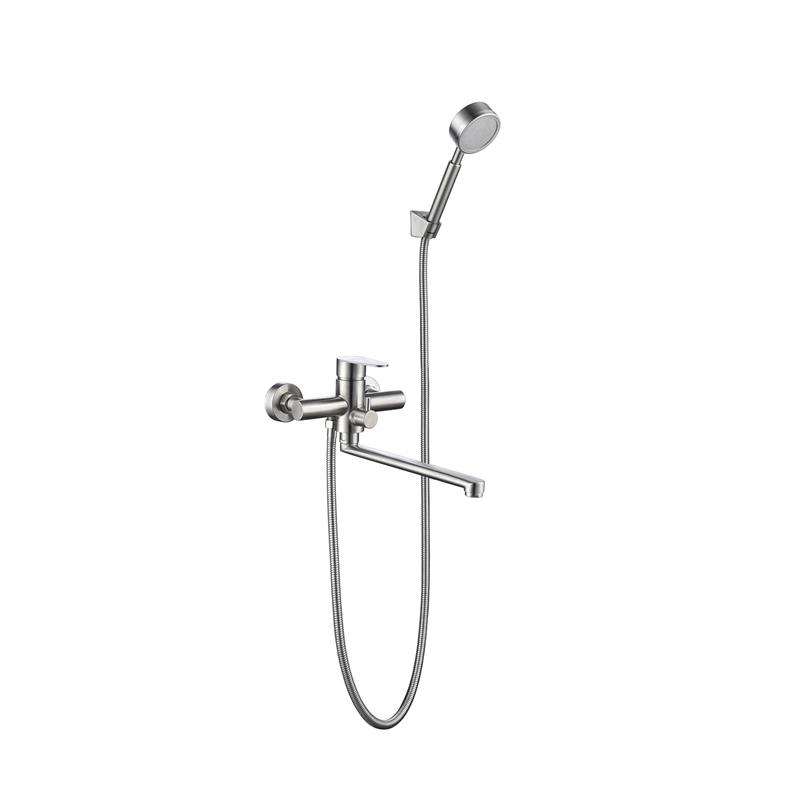 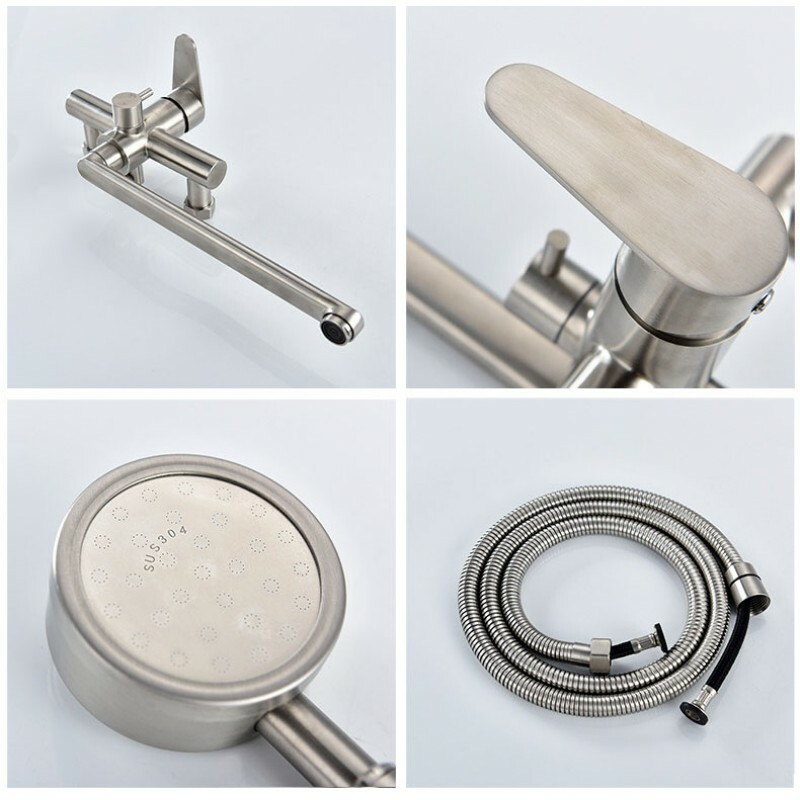 Product SpecificationMaterial : Brass, 304 stainless steelSize: 10inch (25*25cm) square fixed shower..
Faucet type Bathtub faucetFeatures with hand shower, waterfallMounting type seatedMounting hole ..
body Material: brassTop spray material: stainless steelHand shower material: copperProcessing:.. 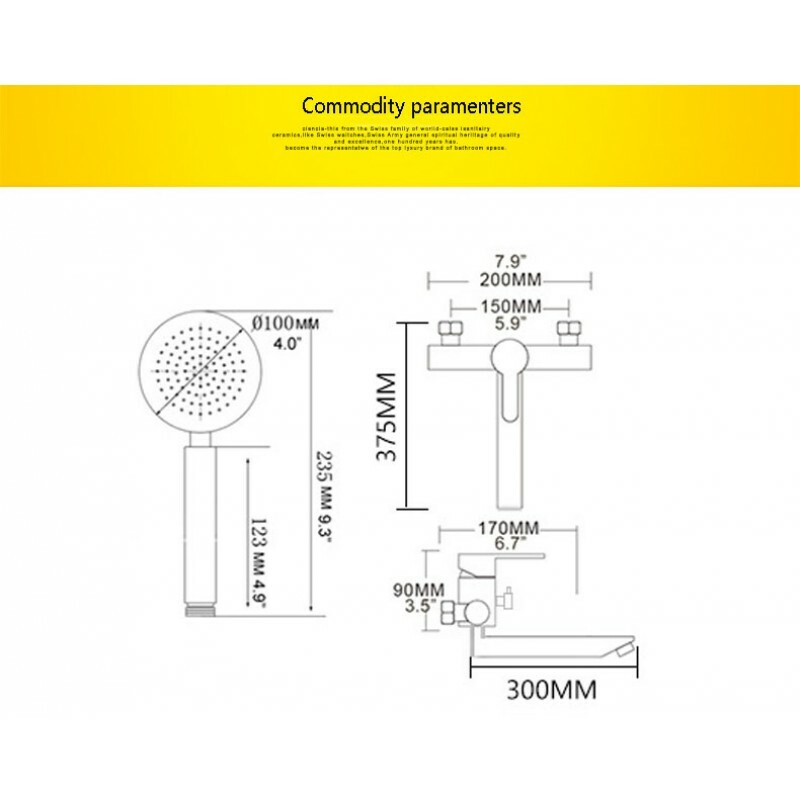 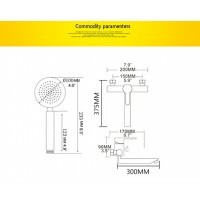 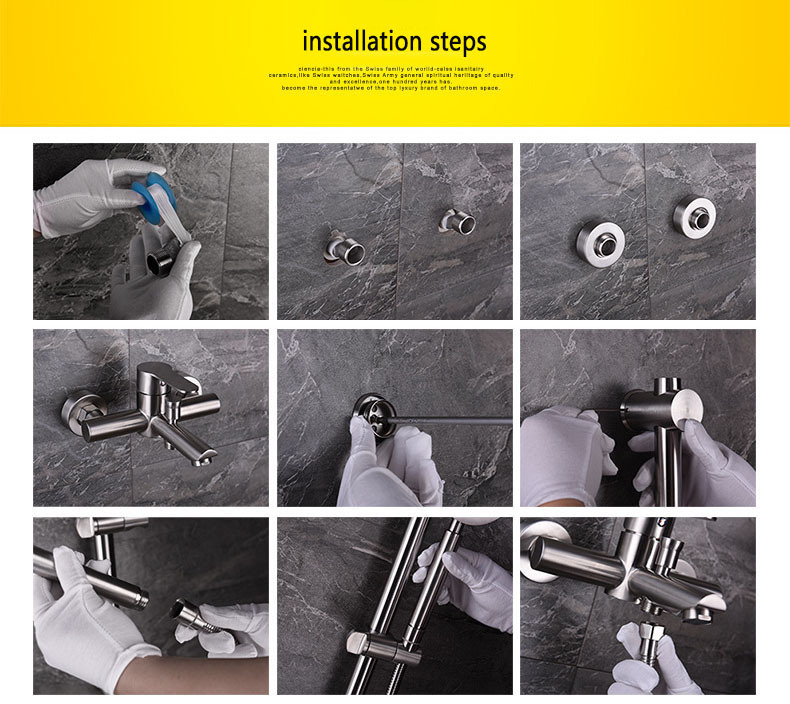 Complete accessories, ready to installThe shower head can be rotated and lifted, hot and cold dual c.. 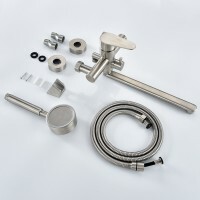 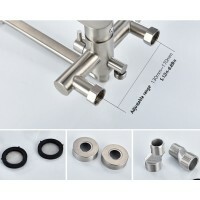 The shower system kit includes: a fixed shower head, a hand shower, a shower rod, a shower hose, a s.. 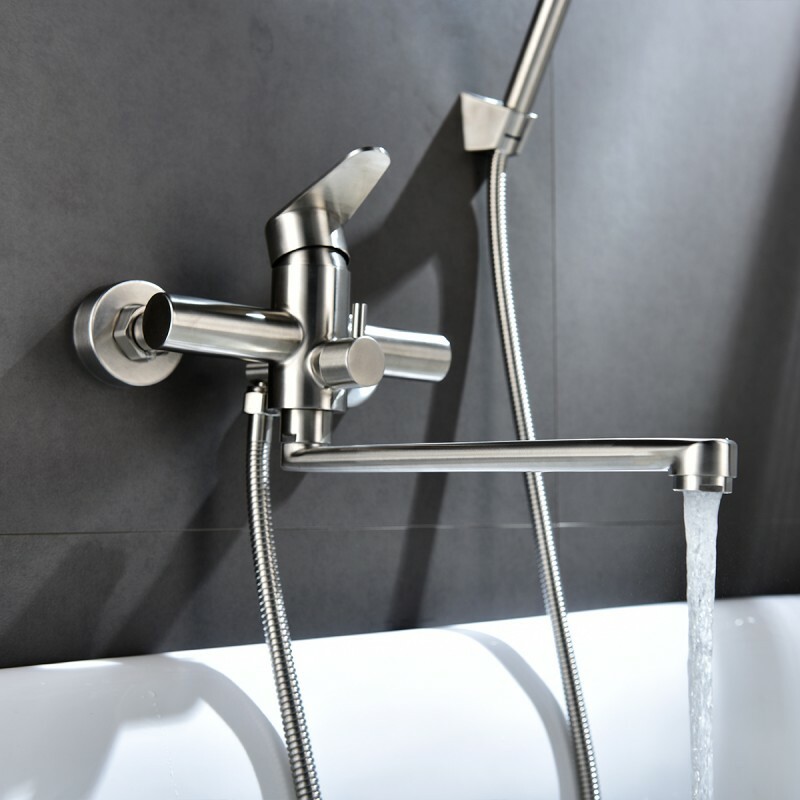 Product Category: ShowerProduct size: 49.6 IN"H * 10 IN"W * 8.27 IN"DFunction: Rain, Temperatur..
DetailedFaucet type Shower faucet, bathtub faucetCharacteristic waterfallInstallation Ty..